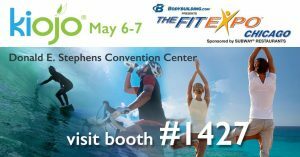 See us at the FitExpo Chicago…. How Clean Is Your Drinking Water? How Clean Is Your Drinking Water? It may not be as pure as it looks…. If you still aren't sure about Kiojo, just try our convenient Sport Pack which contains 10 regular servings of Kiojo. Then contact us and let us know how it works for you. © 2017 Kiojo LLC. Kiojo® is a registered trademark of Kiojo LLC. We love hearing from our Kiojo members who tell us how it has inspired their lives. Or, anyone that would simply like more information.